Updates to Jerri-Lynn's profile since your last visit are highlighted in yellow. Dyshawn 32 Brandon 30 Laquonne Sr 24 Darryl II 15 We are the proud Grandparents of 4 grandchildren ken-ken More…and quon -quon, Ky, DAndre. My granddaughter is 4yrs now and one of my grandsons is 6 years old the other two just turned 2 yrs old. Jerri-Lynn Rosemond Thames has a birthday today. 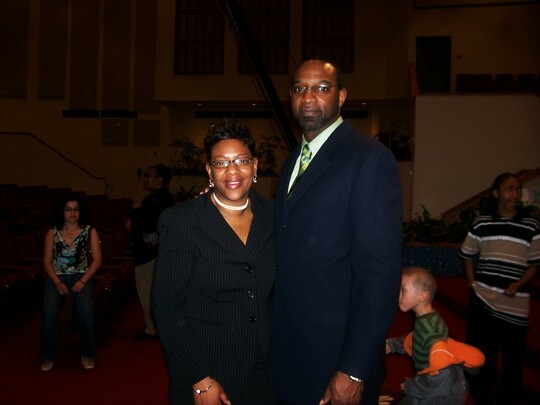 Jerri-Lynn Rosemond Thames added a comment on Profile. New comment added. Darryl and I one Easter Sunday after church. Our boys Dyshawn 28 Quan20 and lil Darryl 11 and My hubby Darryl at a family reunion picnis. last be not least my grandson lil Quan. Our older son Dyshawn and my other son Brandon at Dyshawn's baby shower where he celebrated the birth of his first child a daughter Kennedy . Quan - Quan my three year old grandson. Ms. Mckenzie Bettie Reynold's granddaughter. Etta and her date at the prom. This is Bettie Reynold's youngest daughter.